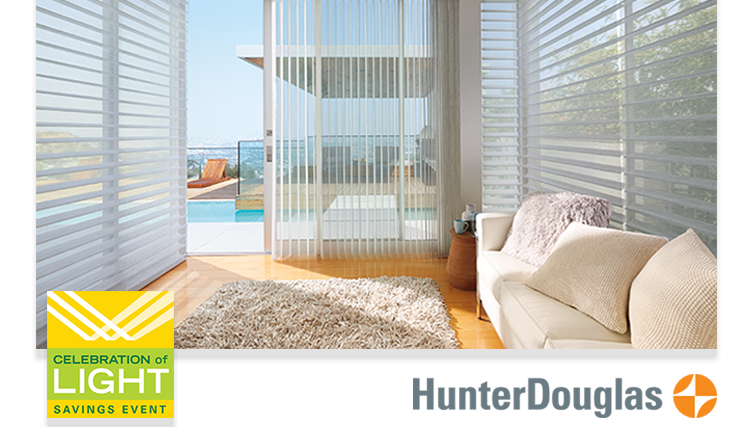 Save on Hunter Douglas Window Fashions. Light-diffusing window fashions from Hunter Douglas let you design with soft light. Enjoy generous rebates on qualifying purchases. Receive a rebate of $100 when you purchase 1 Luminette® Privacy Sheer (plus $100 REBATE for each additional unit), or 2 Silhouette® Window Shadings (plus $50 REBATE for each additional unit). Hunter Douglas window fashions are not only beautiful but are designed to soften light and provide excellent UV protection for your home furnishings! 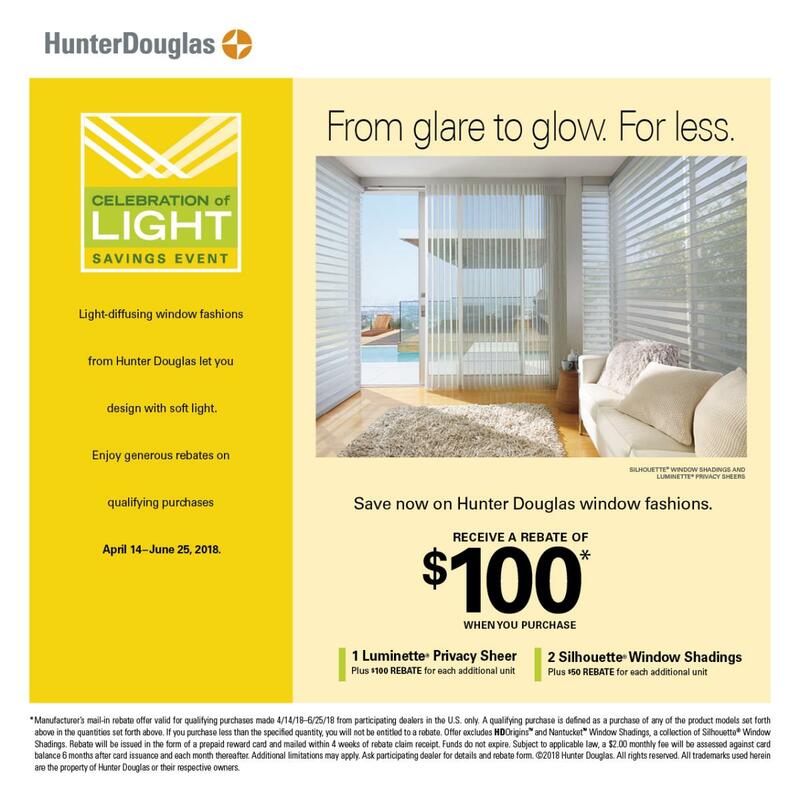 Hunter Douglas current promotion runs April 14th through June 25th, 2018.